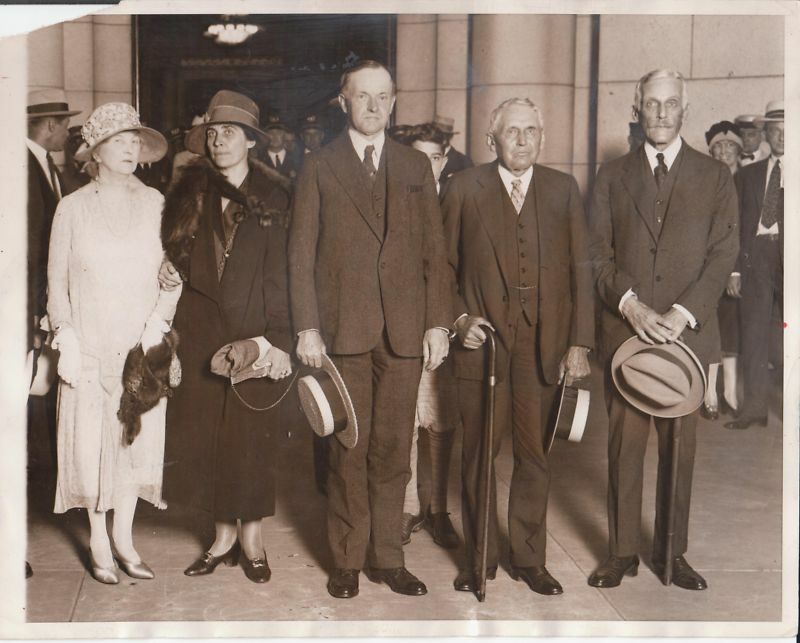 Here the President stands beside Mrs. Coolidge and a gathering of some of the most influential officers of the Coolidge Administration, L to R: Secretary of State Frank B. Kellogg and Mrs. Kellogg, Secretary of Labor James J. Davis, First Lady Grace Coolidge, the President, unidentified man, former Secretary of the Interior Hubert Work, serving at the time of the photograph as Chairman of the Republican National Committee, Secretary of the Navy Curtis D. Wilbur, Mrs. Lou Hoover, soon-to-be President Herbert Hoover and finally Secretary of War Dwight F. Davis and Mrs. Helen Davis. 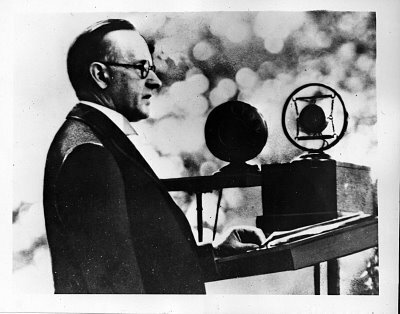 Who is standing directly behind President Coolidge? This is not the first time Union Station in Washington, D.C. has been preserved as the hub for transitional photographs between what was and what would be, as these other snapshots illustrate. 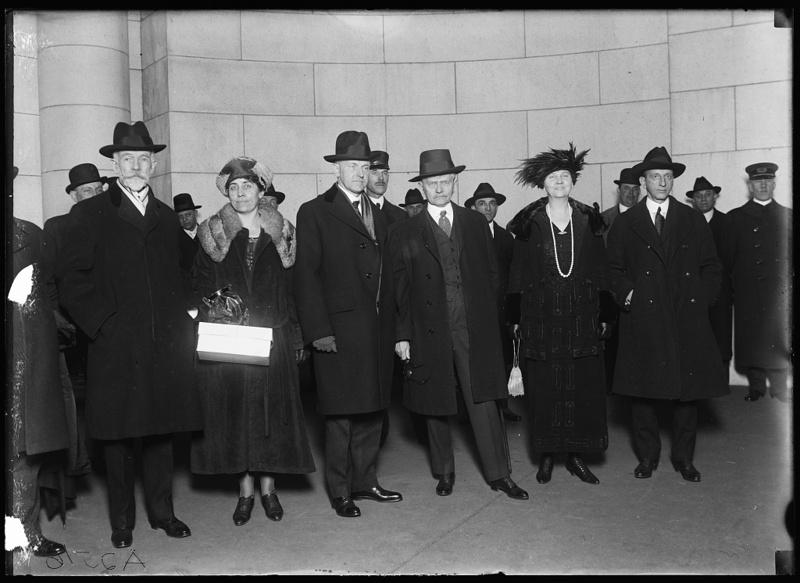 President and Mrs. Harding beside the Coolidges outside Union Station en route to the Inauguration, March 1921. 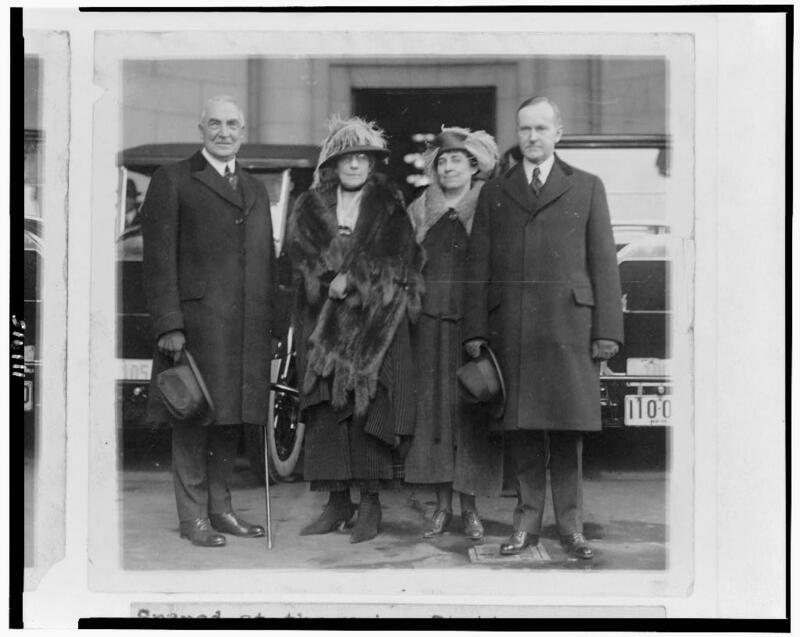 Senator Henry Cabot Lodge, a long-time political antagonist of Coolidge’s advancement, stands beside Mrs. Coolidge and the Vice President, who stands beside outgoing Vice President Thomas Marshall and Mrs. Marshall. While not evident in this picture, Mr. Marshall possessed a keen sense of humor, hitting it off with the new VP almost immediately. 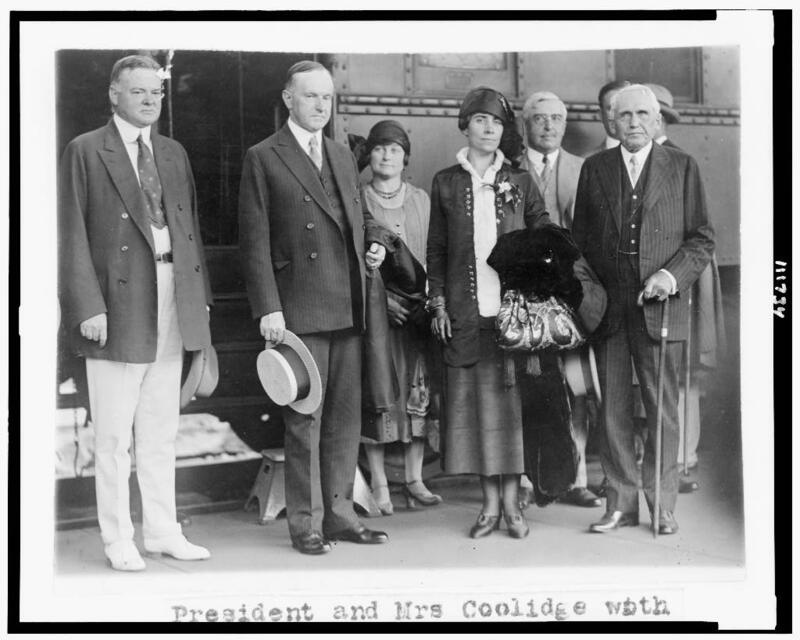 The Marshalls helped the Coolidges get situated in Washington and became firm friends with his successor and the lovely Mrs. Coolidge. Photo taken in 1921. President and Mrs. Coolidge returning from summer in Swampscott, MA, with Secretary of Commerce Herbert Hoover and new Secretary of State, Frank B. Kellogg, 1925. Sometimes, however, the photograph simply points back to what had been, remembering the great collaborations of the Coolidge team in the Twenties. 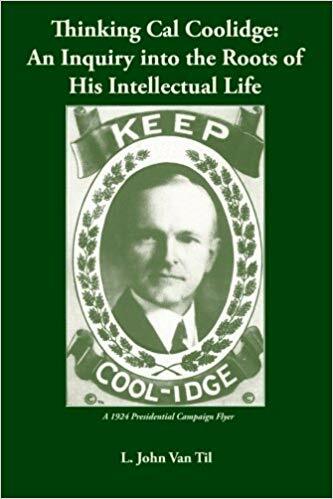 President Coolidge stands beside two of his greatest partners in Administration policy: Secretary Frank B. Kellogg, in foreign affairs, and Secretary Andrew W. Mellon, in domestic business, especially on taxes and budgetary policy. 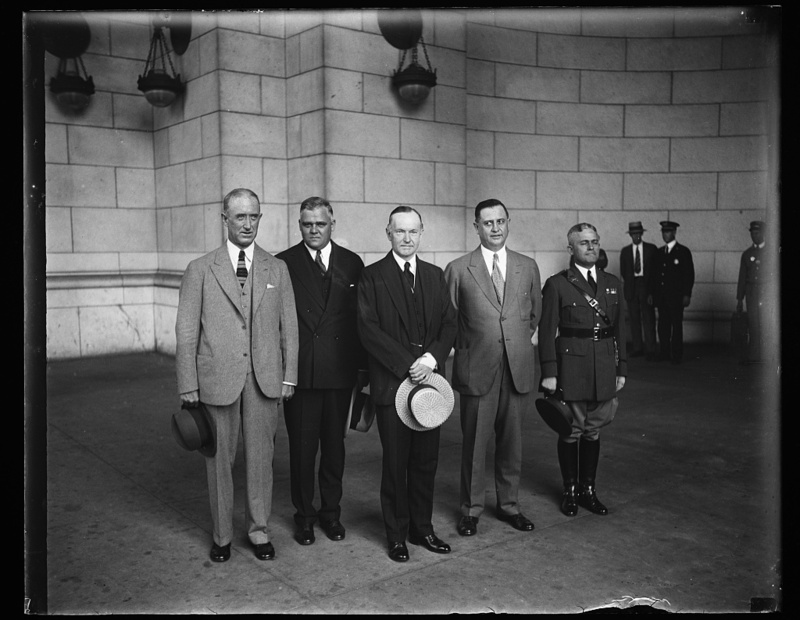 Taken in 1929, as President Coolidge steps aside from the Presidency, Colonel Starling, Everett Sanders and two unidentified men stand with their Chief one last time as the Coolidge years come to a close. ← President Coolidge: Expecting Rain?